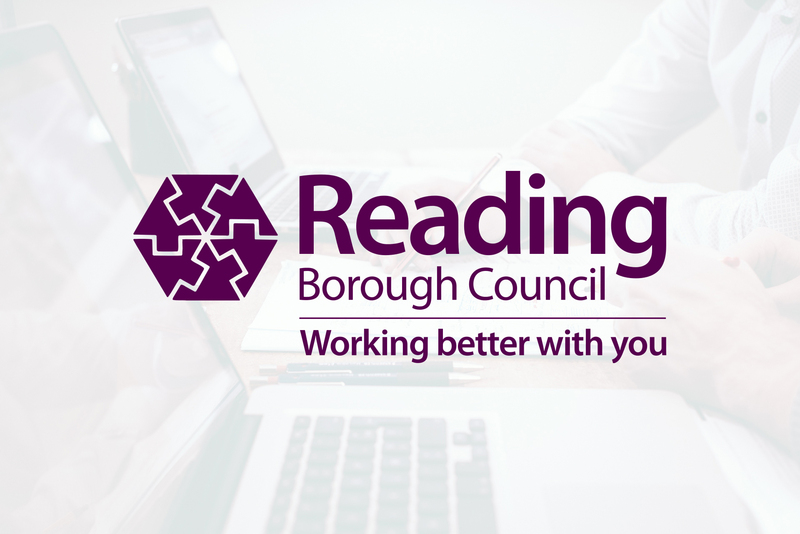 Reading Council began thinking about a new approach to adult social care in the summer of 2015 – and were ready to start with two innovation sites in the autumn – based on people who had heard about the new ideas and wanted to try them out. One site wass in Reading’s ‘front door’ function and all of its work was ‘new’ contacts. The other was focused on one particular post code area and accepted all contacts – both ‘new’ and from people with existing support. Reading followed Partners for Change approach to the letter, knew they were ‘learning as they went’, collected data every day, and focused on reflecting on their practice – both through sharing stories of their new work and how it was different to the old approach, and also by constantly looking together at the data. Here is their story – as told by Karla Vickers who project managed Readings programme. 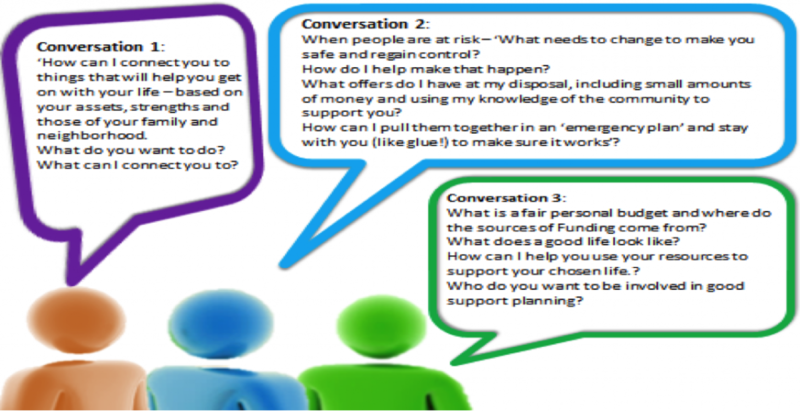 We have developed a new way of working based on the 3 conversation model and have called our approach ‘Right for You’. We have just completed our first 3 months of adopting this approach in 2 innovation sites and have completed an evaluation based on 3 months of learning. During this time it has been challenging, we have learnt to work in a new way and step away from the traditional assessment model to one of having a conversation with the person to find out what is really important to them, what they would like to achieve and how they can help themselves. However it has been an extremely rewarding experience where we have learnt a huge amount and evidenced that this approach delivers positive outcomes for the people and families who we work with, workers in the teams and has significant financial benefits evidenced by the data we have collected. By ensuring that when people and families contact us they are put straight through to a worker, and are not passed between workers, the worker starts the conversation quickly and follows it through. People said to us that they liked this quick response, ‘It was very quick – she was brilliant’; ‘Much quicker than previous experience – 10 out of 10’. Workers have found that having a ‘conversation’ rather than being focused on completing an assessment document really does change the outcomes for people and is liberating for workers, freeing them up to work in a genuinely person centred way. It has also supported joint working within the teams and with partners. Workers say their wellbeing has improved, they have experienced an increase in satisfaction, are more motivated and developing confidence in what they are doing. Peer support, an opportunity to reflect on practice through day to day support networks and weekly meetings, as well as being able to innovate and shape the development of the Right for You approach has supported this. 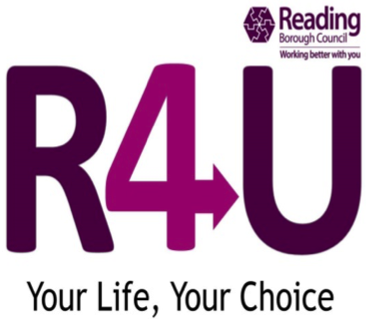 Workers completed a staff survey at the start of Right for You and at the end of 3 months. 100% of people were either very satisfied or satisfied with their job since working in an innovation site compared to 64% prior to Right for You. During the 3 months we collected lots of data to give us evidence about Right for You. It showed us that we had 393 contacts from people who were not receiving any support from social care. Of these, 84% were managed by a tier 1 conversation and were connected to informal support. Only 10 of the 393 contacts had a tier 3 conversation and needed long term support (although some more may progress to tier 3). A similar picture was shown when working with people with existing support and 79% of the contacts were managed at a tier 1 conversation with no need for more support. This evidence shows that the number of people going onto receive long term support through a personal budget has significantly decreased by following the 3 tier conversation model. This is anticipated to have significant financial benefits. If we had carried on working in our ’business as usual’ assessment for services approach with those 393 people we would have received at least double the number of ongoing care packages. If we can continue to halve (at least) the rate at which people contacting us become recipients of long term support then we will have made a significant contribution to our councils serious financial challenges. We think this change has happened because we are seeing people early and quickly and connecting people to community support; looking at what strengths and assets the person has which can support them; ‘sticking to the person like glue’ in a crisis and working in a person centred way. Importantly this supports a sustainable approach where people are developing their own resilience with less reliance on social care. Angela (not her real name) had recently been in hospital. One day, when climbing her stairs, she had fallen and broken a number of bones. She had been discharged out of hospital with a traditional re-ablement package including support from an OT and that period of help had meant that she was now fully mobile – and ‘re-abled’ as far as the service understood, and she was discharged from her re-ablement package. She was referred to the local team for a long-term daily home care package to, among other things, empty her commode because she wasn’t able to climb her stairs. A worker in the innovation site, didn’t assess her for that package and then commission the work to commence. Instead she took her call and, by listening well and agreeing to visit that day, understood that Angela was still much too frightened to climb her stairs, even though it was physically possible. She also heard that Angela really did not want a daily person coming in, and wanted to be able to use her upstairs loo. The worker treated this as a crisis – knowing that if the package was commenced it would probably never stop, and was clearly not what Angela wanted, and would rob her of her independence. The worker happened to have a background in psychology and agreed with Angela to visit every day for a fortnight for 20 minutes where she would follow a process of rapid de-sensitisation – which was about building Angela’s confidence once again that she could get up her stairs. In between visits Angela would practice – each day climbing a little further. During the sessions the worker also emptied the commode. At the end of the fortnight Angela was much better able to climb her stairs on her own, but still keen to have another option. The worker was able to put her in touch with a local organization which has agreed to fund a stair lift. Angela is getting on with her life without any ongoing support. Previous Previous post: Keyworking – does it increase dependency and ‘ownership’?